Bullet time junkies will need to wait a bit longer to see Max back in action while Rockstar puts final touches on the game. 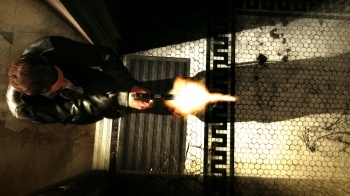 Rockstar's hotly anticipated threequel, Max Payne 3, has been delayed until May 15th for the Xbox 360 and PS3, and May 29th for PC. According to Take-Two CEO Strauss Zelnick, the team has chosen to push Payne into May to help ensure the game becomes "the highest quality, groundbreaking entertainment experience that is expected from [his] company." "We do not take changes to our release schedule lightly," Zelnick continued. "Max Payne 3 promises to be one of our most exciting releases to date, and we are confident that consumers will once again be amazed by Rockstar's ability to take interactive entertainment to another level." Due to the timing of the game's delay, it would be difficult for Zelnick to take the change in any way but seriously. Max Payne's new release date will put its potential profits (expected to be somewhere in the range of $210 to $230 million) in the company's next fiscal year, meaning Take-Two will actually post a loss for 2012. "With Max Payne 3 now slated for May, our robust line-up of upcoming releases for fiscal 2013 is even stronger," Zelnick went on to explain, "including BioShock Infinite, Borderlands 2, Spec Ops: The Line, XCOM, XCOM: Enemy Unknown, and other titles yet to be announced for release that year." In case you were wondering, the "fiscal 2013" period runs from April 2012 through March 2013. This is admittedly raw speculation, but it seems possible that the original release date was specifically chosen to sneak Max Payne 3 into Take-Two's 2012 fiscal year to prevent the company from posting a loss. Regardless of whether or not that's true, Zelnick's willingness to report a loss and give Rockstar the time they need to polish the title instead of squeezing something out prematurely is laudable.